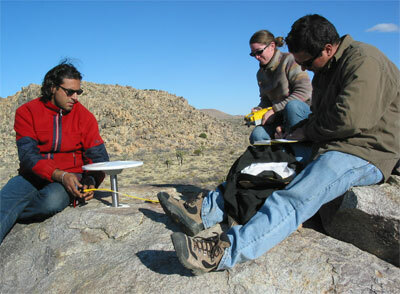 UNAVCO provided 12 GPS systems for a campaign in Joshua Tree National Park. A total of 13 monuments were surveyed, 12 within the park and one outside the park. The network was established in 2005 to better understand the details of the crustal strain rate field between the southernmost San Andreas fault zone (SAFZ) and the eastern California shear zone (ECSZ). Additional campaigns are planned for May and September this year.